Northward Bound: Why Invest in Canada? Over the past year, numerous U.S.-based independent equipment finance companies and bank-owned leasing companies announced their expansion into Canada. 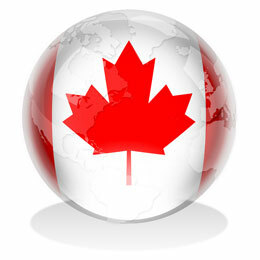 While conducting cross-border business is not necessarily a new strategy, the fact is, more U.S.-based equipment finance companies have established Canadian-based entities over the past twelve months than in any year in recent memory. What’s behind all this new expansion into Canada? Equipment Finance Advisor asked four industry leaders to expand on this question. We spoke with Financial Pacific Leasing’s Paul Menzel, CCG Commercial Credit Group’s Dan McDonough, First Financial Corporate Services’ Bill Heston, and asked them each to provide their insights into why their companies have made the “investment in Canada”. We close this roundtable with a discussion with Cassels Brock’s Jonathan Fleisher whose financial services practice focuses on the commercial finance industry with a particular emphasis on cross-border transactions and equipment finance. In each case, we learned these were unique strategic initiatives undertaken by these companies with long-term visions. And, that the investment in Canada requires the guidance of a legal specialist. We thank Paul, Dan, Bill and Jonathan for taking the time to discuss this compelling development in the equipment finance industry. Please feel free to read these four perspectives in any order you prefer.